UWG Newnan Earns Chamber Award:University of West Georgia Newnan was recently named the 2015 Prosperity Award recipient by the Newnan-Coweta Chamber of Commerce for its outstanding impact on economic growth and development in the county. The city of Newnan and UWG Newnan have been awarded the 2016 Preservation Award for Excellence in Rehabilitation from the Georgia Trust for Historic Preservation. 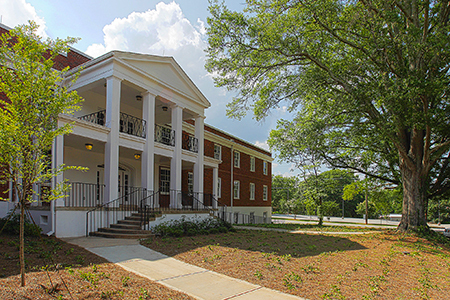 The award, presented at the 39th annual Preservation Awards Ceremony on April 22-24 in Marietta, was given to recognize the outstanding efforts in redeveloping and rehabilitating the historic Old Newnan Hospital.